Green Lawn Fertilizing services the Rockwall area and provides fertilizing, seeding, fire ant control, and weed killing. “No one likes to pull weeds or deal with chemicals,” John said. “We take care of that so all you have to do is enjoy it.” A Rockwall resident for 10 years, John knows the native grasses and how to care for them so they will produce a lush, thick lawn. He is licensed by the Texas Department of Agriculture (TDA) and currently performs all services himself, so customers know they’re getting an experienced professional. Randi serves as the office manager and focuses on roviding exceptional customer service to clients. “We provide a personal touch,” she said. She emails each customer before John comes to treat a lawn, as well as after they’ve performed the service. “We want them to know when we’re coming in case they need to prepare for their pets,” John added. “We email after the service with any additional lawn care instructions so the customer gets the most out of their treatment.” With spring right around the corner, now is the time to prepare for a thick, green, healthy lawn. “My first visit is free, so that I can analyze your lawn’s needs and provide a custom care lawn treatment plan. We do not believe there is a one-size-fits-all treatment plan,” John said. 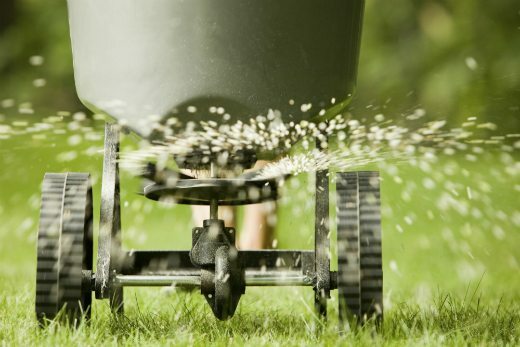 “Our personalized annual fertilizing and weed plans will help your lawn be the best that it can be.” Increase your curb appeal and make your neighbors green with envy by having the best lawn on the block. Call Green Lawn Fertilizing to schedule your complimentary lawn analyzation and enjoy a healthy lawn maintained by a professional year-round. Serving Rockwall And Surrounding Areas!